Are you looking for a great deal on a pre-owned SUV? If so explore our used Jeep Grand Cherokee bargains near Atlanta, GA. Our online inventory of used Jeeps often includes dealer discounts and specials on used Jeep Grand Cherokee models. Our pre-owned vehicle inventory includes used SUVs from a variety of manufacturers including many pre-owned Jeep vehicles. Our selection of used Jeeps usually includes quality vehicles that are just a few years from production date with very low mileage. All of our vehicles are throughly inspected and meet our standards for safety and reliability. Our used vehicles are always offered at remarkable savings including frequent bargains on used Jeep Grand Cherokees near Atlanta, Georgia. 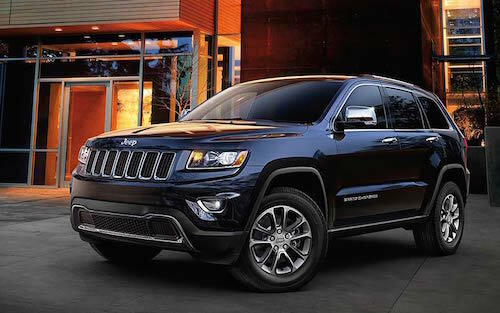 Let our used car financing team help you find affordable used Jeep Grand Cherokee financing or leasing options. We can help you secure auto financing even if you have less than perfect credit. So why not learn more about our selection of used Jeep SUVs and come in for a test drive soon?